Okay so it's been quite some time since I've actually posted anything. Life happens. And on that note, I found something that is quite appropriate for my life. Enjoy. An additional note: I find it rather amusing that when a post is newly posted (like this one at this moment), it winds up adjacent to my blog portrait picture. 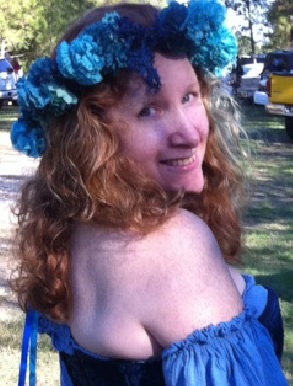 In which I'm dressed up for a renaissance festival. Where I totally don't look like I would be an introvert, dressing up in public and such. However, that's just the case. Introverts, such as myself, can easily don a costume, get into a character, and be someone other than themselves for a while and actually enjoy being outgoing in their 'alter ego'. As long as there is down time to recuperate afterward. Such a weird life.